An example service flowchart, showing a very simple service flowchart between for the process of getting out of bed in the morning. 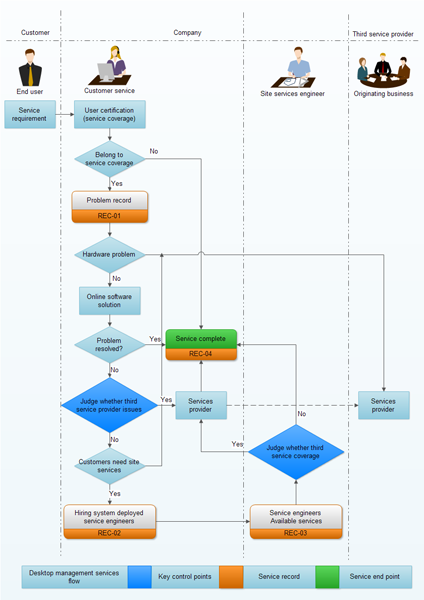 The below example of service flowchart shows a sequence of steps in a business service, which can be used as a flowchart drawing sample. It presents the relationship among customer, company and the third party service provider. More examples has been provided on the Flowchart Examples page.